What evil lurks behind your favorite confections? Andrew Bell’s Kill Kat Vinyl will be making its debut at New York Comic Con. Will you get the deadly delicious Milk Chocolate or decadent Glowing Dark Chocolate edition? You’re going to have to break one open to find out! 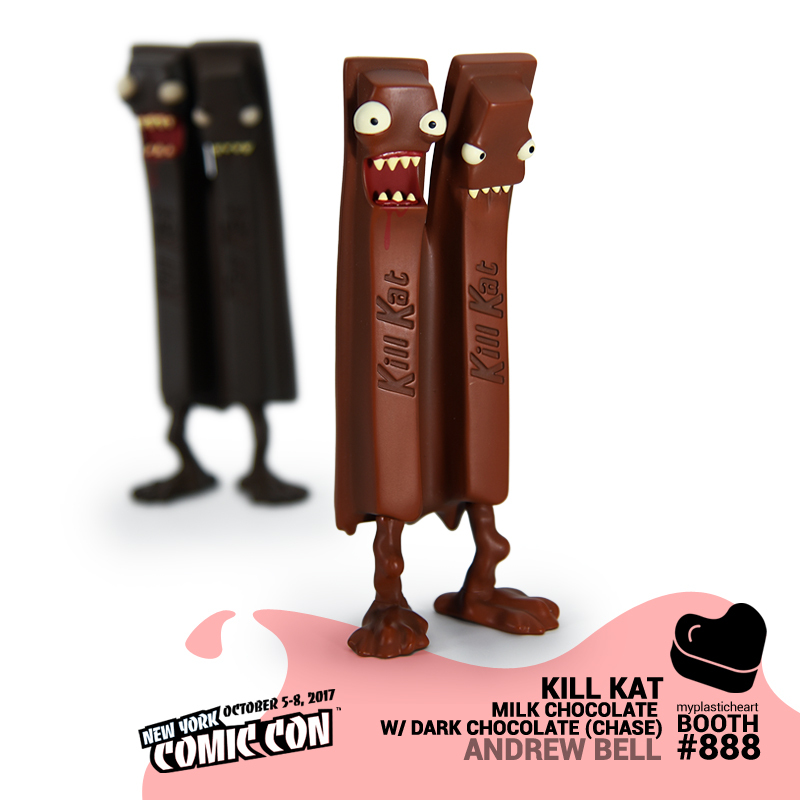 Kill Kat will be available for $40 at the myplasticheart booth #888 during New York Comic Con.